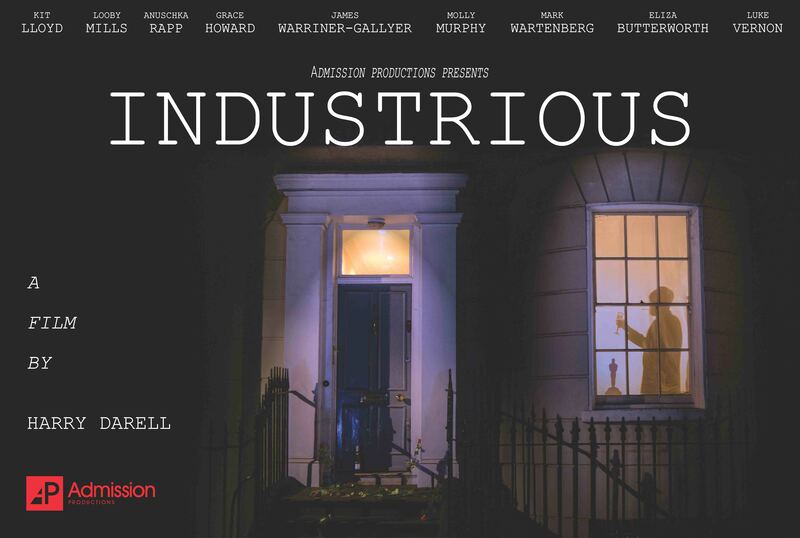 ‘Industrious,’ is a new film, written, directed and produced by Harry Darell. It follows the journey of seven characters in the theatre and film industries, making their way to an exclusive London party. Come watch these bizarre, self-obsessed people embark on this seemingly-simple quest, with all the perceived trials and tribulations that come with it. Featuring a stellar cast including Looby Mills, James Warriner - Gallyer, Kit Loyd and Eliza Butterworth.